Visually manage patch panels, end to end connectivity and cables efficiently and effectively by removing complexity and offering clear insight into the purpose and usage of every cable, device and network connection. View the 2D or 3D representation of patch panels along with detailed port information. Know the port utilization and availability for each port on the Front and Rear of the patch panel and customize port properties as needed. Customize the internal connectivity or cross connectivity between ports in a patch panel. NetZoom includes the most complete and up-to-date Library of Patch Panels from popular manufacturers. Users will find all the patch panels they need for managing the data center in the NetZoom Patch Panel Library. The NetZoom Cable Library comes with thousands of popular cable designs for easy identification. The NetZoom Cable Library offers all types of cables including power, copper, fiber and specialty cables like Hydra cables. Users can customize cables for color, length, type and other properties to standardize cable models. Manage all types of copper and fiber connectivity and their cables. Plan and standardized on cable models, cable information and cable lengths. When a connection is made, NetZoom auto-calculates the cable lengths and assigns the appropriate standard cable length. 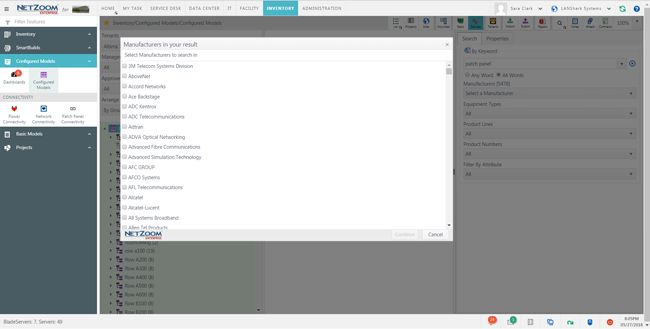 Users can Plan, Visualize, and Document end-to-end device connections as NetZoom maintains the connection status for each port and cable. 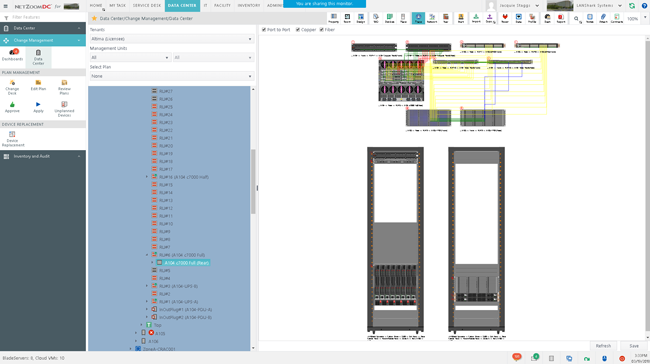 With NetZoom, users can Visualize and Navigate the connectivity between different devices including patch panels and switches. 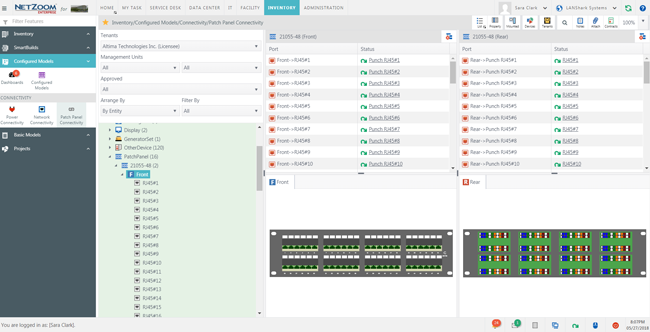 The Visual Connectivity Trace lets users visualize end-to-end connectivity through every patch panel to facilitate network connectivity troubleshooting. Visually Plan, Connect, and Track power connectivity from a device through power devices like Rack PDU, power rail, Remote Power Panel and UPS all the way to main power source. Built-in power redundancy path validation and looped power cycle checks notify users of connectivity issues. Use the Visual Power Chain tracing to view the complete power hierarchy including load and capacity at each Power socket to balance power and validate power connectivity. 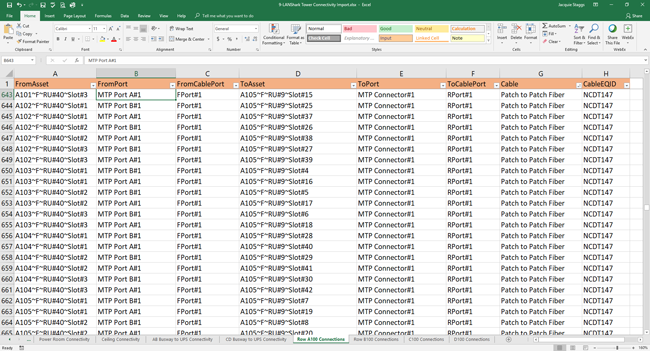 Import connectivity and cabling data using spreadsheet.